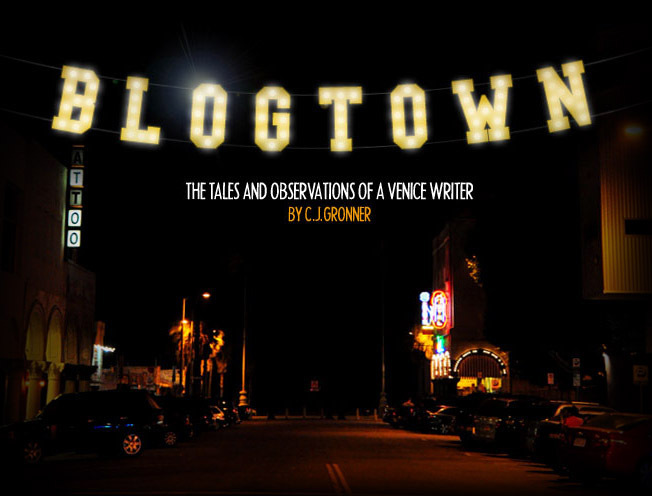 Blogtown: Calvin & Hobbes Love You! Awwww. Returning from the beach this morning, I was thinking about everything in the whole world, like most days. As much garbage news and as many mean-spirited people as there in this joint, there really are some truly lovely ones. Like the person behind the "Someone loves you" street art. 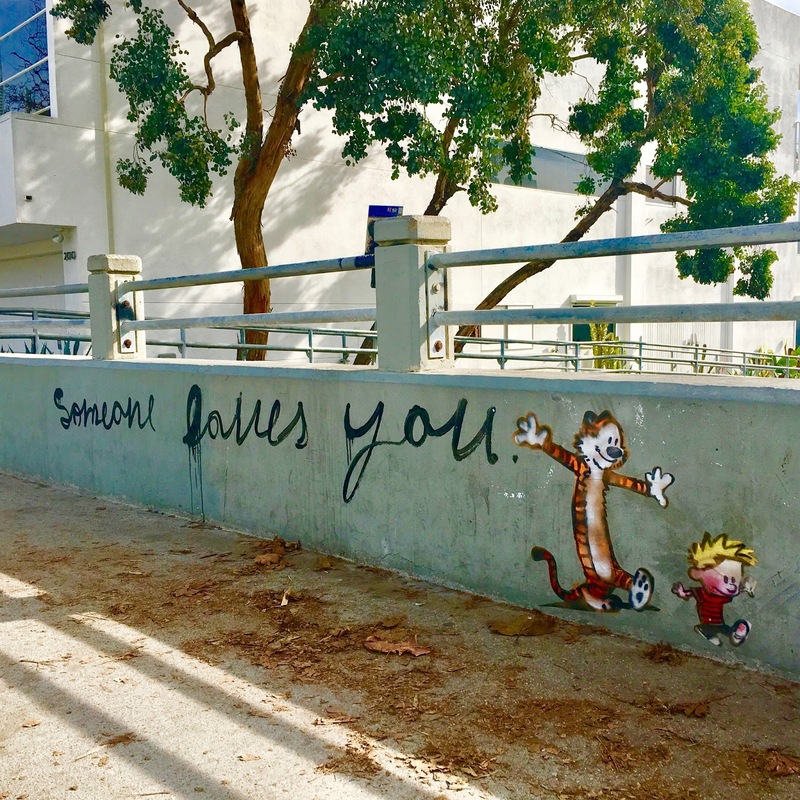 This morning they struck again, and there was a new one featuring Calvin & Hobbes letting everyone know that they are loved. I'm sorry that I don't know who the artist is to properly credit them (let me know if you do! ), but I want them to know it's appreciated, and almost always seen when it's really needed. Thank you to them for this little day-maker there at the entrance to the Venice Canals. And just so they know ... someone loves them - and their work - too. XOXO. Hi! It's been awhile but do you remember the location of the mural? Like around what intersections? Yes, it was at on Venice Boulevard at the start of the canals, but it's been painted over now, sadly.